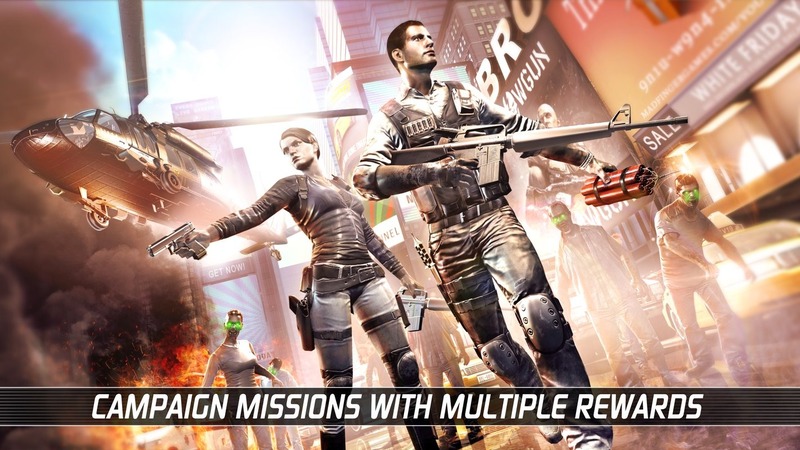 After launching Dead Trigger in the mobile gaming market, Madfinger Games continue released Unkilled – the game’s sequel to Dead Trigger. 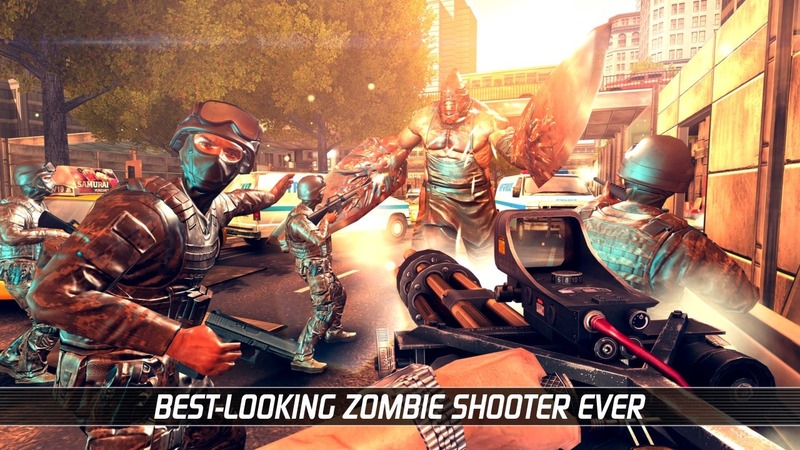 This is a shooting game with graphics that are incredibly awesome available for the iOS and Android platforms, this game promises to bring players to the biggest war between zombies and warrior. 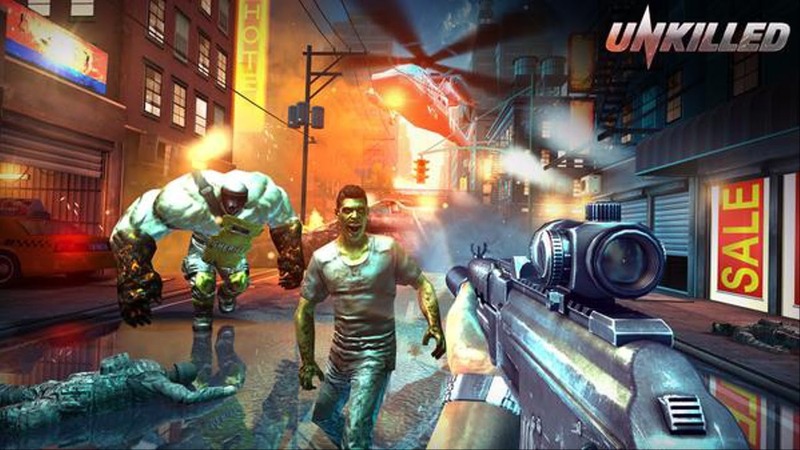 If Dead Trigger has the plot that you are the lucky one to survive and fight the zombies, then Unkilled will take you to the guy named Joe – one of the members of the WOLFPACK task force. In the imaginary New York City, where the zombie virus explodes violently, you can see the streets are full of zombies. The widespread and mutant viruses make the zombies become a monstrous and vicious monster. So Joe’s mission is to find and destroy the source of the pandemic, preventing it from spreading around the world. Unkilled is quite similar to its previous part, with the first view, you control your character moving by the virtual button on the screen. You can move your character in every corner easily, as soon as zombie appear you just need to aim and your gun automatically shooting. Unkilled has an incredible long storyline with over 100 missions, with many enemies that you need to fight like Sheriff, Dodger, Butcher, Dodger, … Besides there will be plenty of side quests for you to be able to complete them. Not only does it has the soul of the shooter, Unkilled also blends elements of the role-playing genre shown in the quest system, leveling up as well as collecting and upgrading weapons. 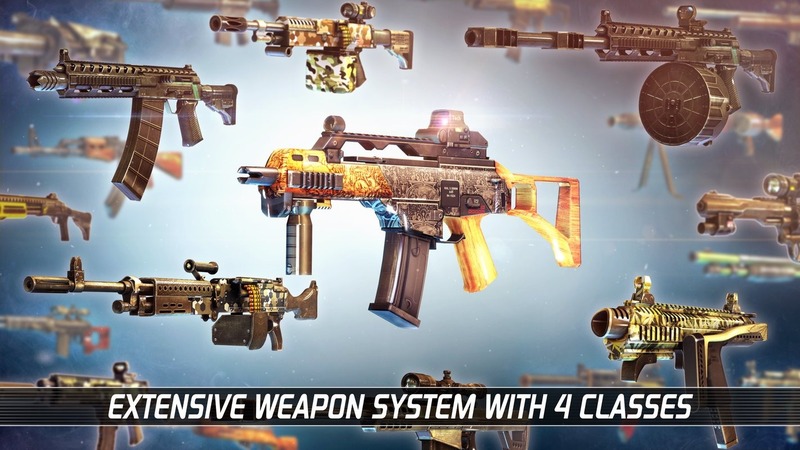 Weapon systems are huge and varied, and you can choose from a variety of weapons such as rifles, AKs, submachine guns, bows, knives, and more. , with the task of saving the world, you will be armed with very modern weapons. When you want to clear up the terrain, kill the zombies quickly, you can activate the rocket to cause the zombies to explode, or even stop time for you to easily handle. The uniqueness and prominence of Unkilled are that the graphics are designed 3D with high resolution, from the smallest things such as trees, electric poles, wooden barrels … to the skyscrapers, street automobiles, zombies, … even the reflection of sunlight is reflected in a very real and sharp way. Sound also contributes a small part to the game, the attraction of the game with the gunshot guns and zombie screams. I have experienced the game on the iPhone 7 and the first impression is that the game runs smoothly even when you install the highest configuration. If you love zombie games, Unkilled can be a great choice for you. Unkilled MOD APK is ready to download! 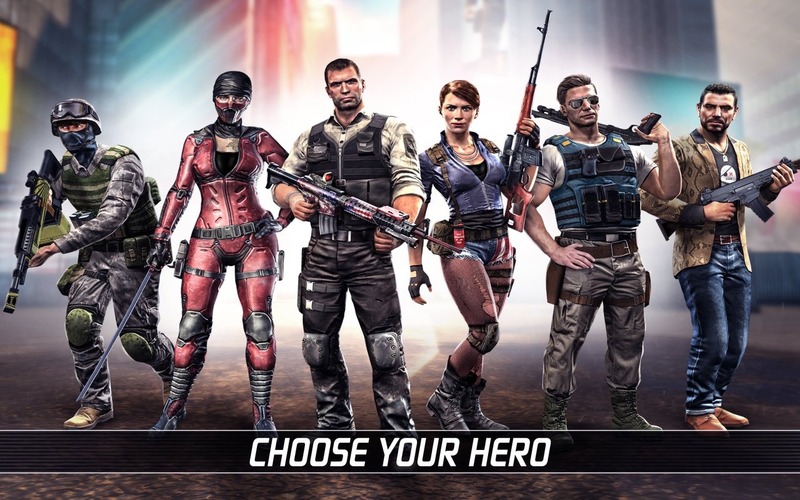 Depending on your needs, you can download Unkilled MOD APK or Unkilled Original APK. Or install from Google Play / App Store if you want.